For many companies, the specific needs of their business require a virtualized desktop experience. The reasons for virtualization vary. For example, for regulated industries like financial services and healthcare, a virtualized desktop experience ensures compliance regulations are met and access to sensitive data is securely managed. For mobile workforces and Firstline Workers, desktop virtualization makes managing and provisioning access to corporate data and apps easier. It also gives IT options in supporting scenarios such as giving access to specific apps to certain employees. We will have many partners that extend the service through the Azure marketplace and are already working with leading partners, including Citrix, CloudJumper, FSLogix, Lakeside Software, Liquidware, People Tech Group, and ThinPrint. The extensive network of Microsoft Cloud Solution Providers will be able to offer Windows Virtual Desktop to their customers and offer additional value around the service. We are also working with partners such as Citrix to deeply integrate and build upon the Windows Virtual Desktop capabilities. We will have more to share on our ecosystem approach in the near future. 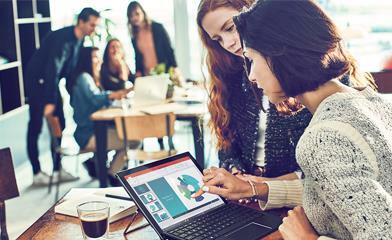 We’re excited to offer this service to Windows 10 Enterprise and Windows 10 Education customers. Once you sign up for Windows Virtual Desktop, you only need to set up or use an existing Azure subscription to quickly deploy and manage your virtual desktops and apps. The only additional cost to you is for the storage and compute consumption from the virtual machines themselves, which will live in your Azure subscription. You will be able to take advantage of any of your existing Azure compute commitments, including Azure Virtual Machine Reserved Instances (RI). We are working hard to put the finishing touches on a public preview, which will be available later this year. If you would like to participate in the public preview, you can register your interest now. In the meantime, please visit the Windows Virtual Desktop website to learn more, or contact your Microsoft account team or Microsoft partner.